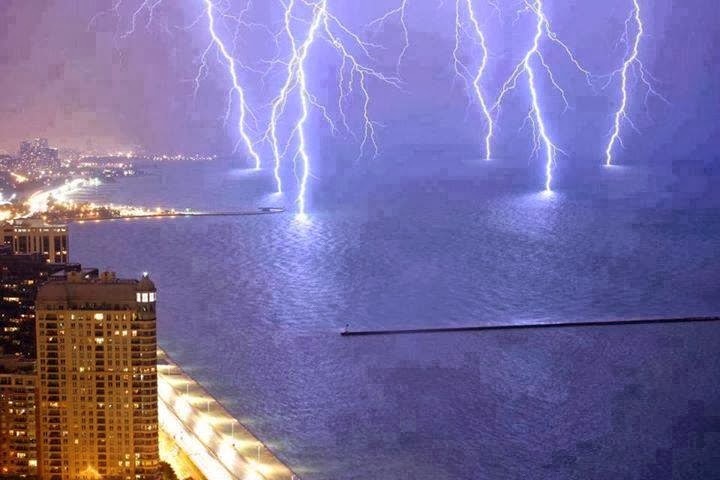 This is the electric moment a lightning strike lit up Lake Shore Drive in Chicago. Seven highly charged forks hit the lake in Illinois causing jets of bright light to dazzle and sparkle off the water. Lightning lit up the sky all over the area and even struck Willis Tower. The storms brought some heavy-duty hail. There were reports the hail may have damaged some cars and set off car alarms. In Lincoln Park, the hail was reportedly the size of ping pong balls. High winds from the storm tipped over a couple of sailboats in Lake Michigan. The Chicago Fire Department says four people were pulled from the water by another boater when their boat capsized at Montrose Harbor. The fire department says another boat also tipped over in the lake at Belmont and the people on board got to shore on their own.